Woodies Restorations is owned by Paul Cundiff - a classic boat enthusiast who was bitten by the restoration bug about 30 years ago. It all started when Paul's daughter went boating with some folks in the neighborhood. She came home and told her dad (Paul) that she wanted to take her money, which was being saved for a horse, and buy a boat instead. Soon 'Tara's Horse' was purchased -- a 1962 28-foot Constellation. It was all that the young family could afford. Paul, an engineer, restored the boat and soon people were driving from miles away to see the varnish work on this cruiser. Soon after, a small boat was "required" for skiing and for pulling tubes behind. 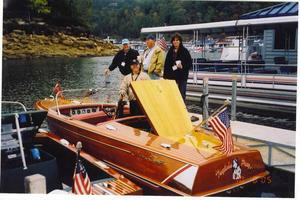 A 1960 Chris Craft Capri was purchased and renamed 'Taylor's Pony.' In 1994 'Taylor's Pony' earned Best Non Professional Restoration at the Kirkland, Washington ACBS show. Next a fifty-five foot cruiser was added to the fleet and was relocated over 2200 miles under its own power to Lake Cumberland. Soon after, Paul met Martenia, who came complete with a daughter and her 16' Thompson. A house was built overlooking Lake Cumberland in Jamestown, Kentucky, a house which has a 3500 square foot boat shop under it, and a business was born. 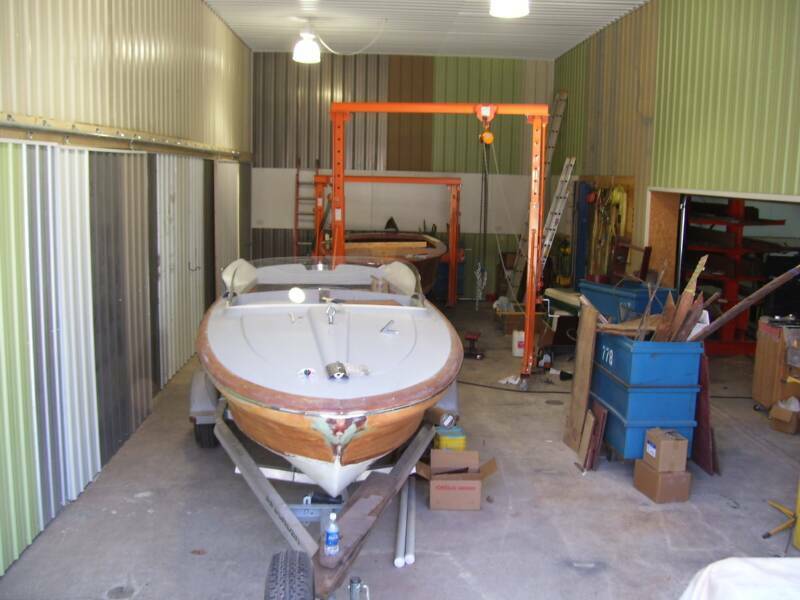 Since Woodies' inception in 2004, many boats and engines have been restored for many satisfied customers by the professionals at Woodies Restorations. 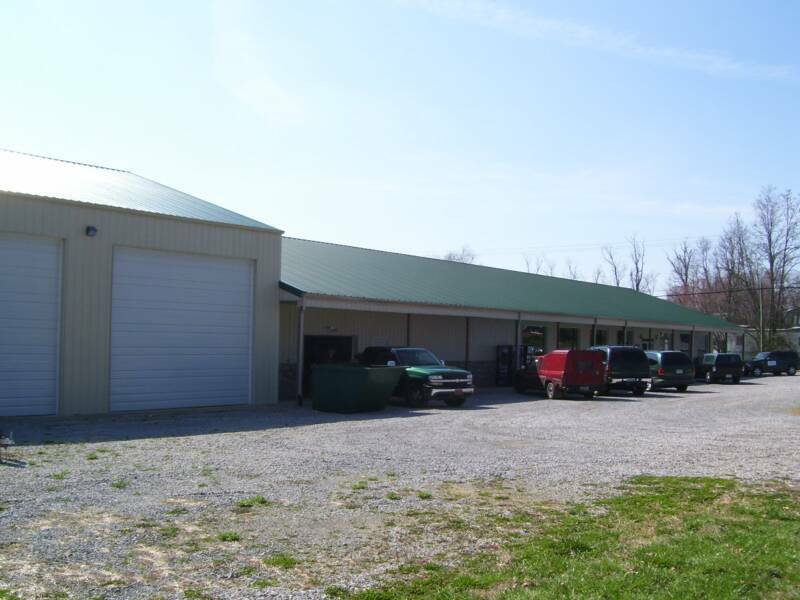 In the fall of 2009 we moved to a new location at 653 Lakeway Drive in Russell Springs, Kentucky. 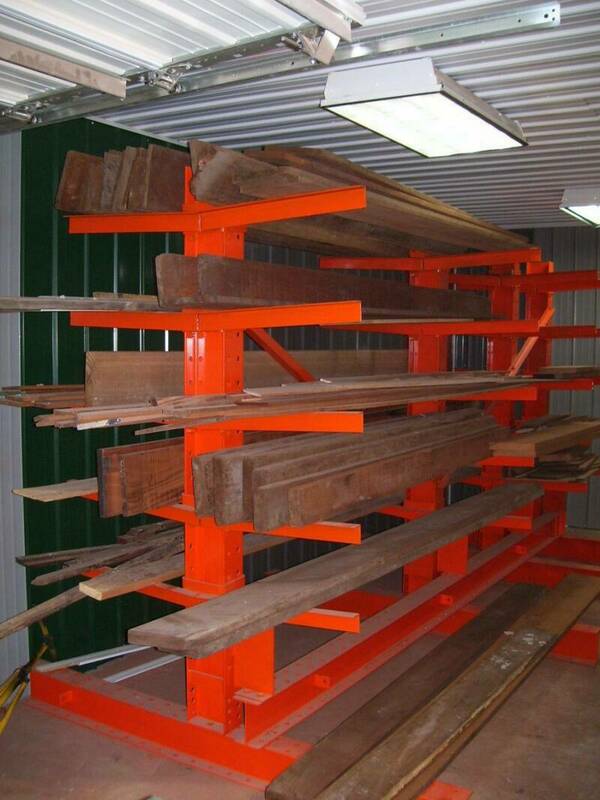 This increased our shop size to just under 10,000 square feet and provided us with a newly built high bay room and a varnish room with separate temperature and humidity controls for the perfect varnish application. This is our office space. This is our work area. Customer waiting area with reading material. also stock 3M 5200 (at a great price) plus many other marine items. 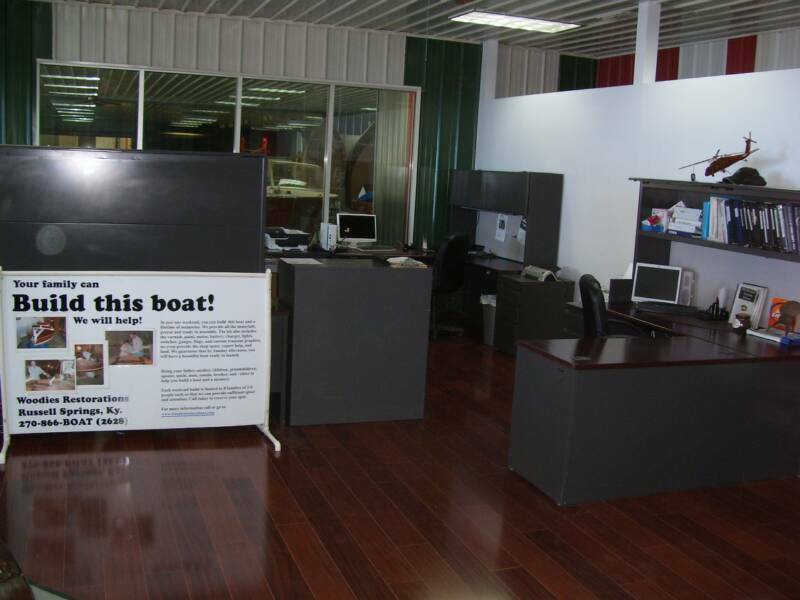 We are a Ray-o-Vac marine and automotive battery dealer. Paint supplies and cleanup area. We also do engine work, from basic tuneups to overhauls and detailing. 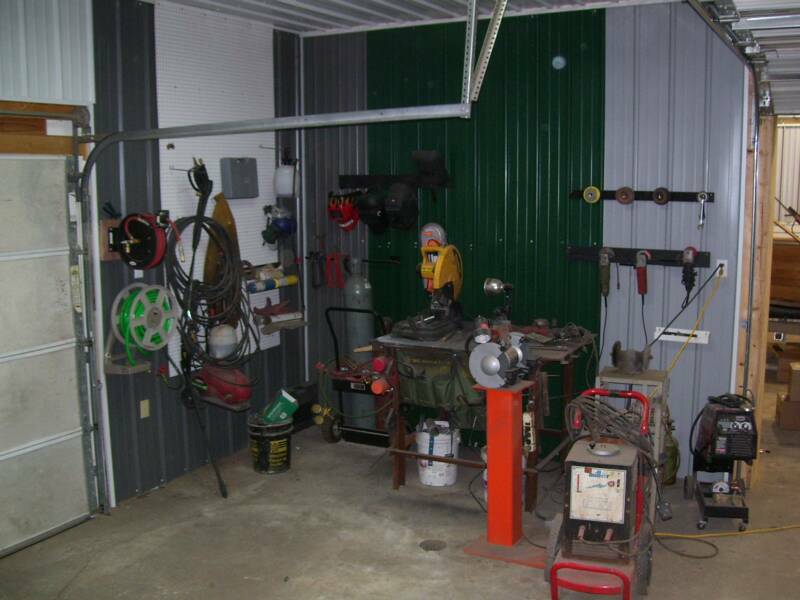 - Provide products, such as tools, restoration supplies, accessories, and advice on how to use them, to the do-it-yourself-er. - Puts the customer in control of the restoration, the costs, the timeline, and ultimately the end product of the restoration. 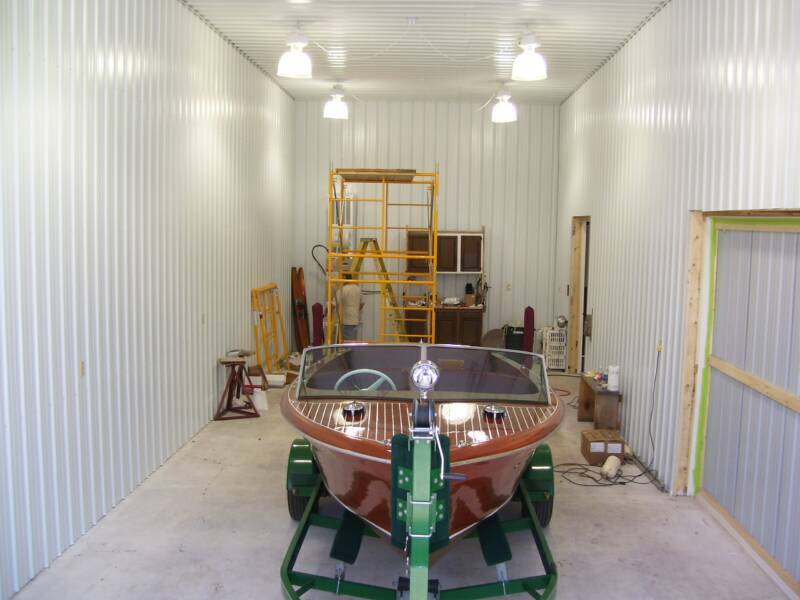 - The customer gets exactly the restoration results desired at the cost expected, delivered when the end product is expected - to maximize the enjoyment of this ACTIVE INVESTMENT while preserving the nostalgia of the antique or classic boat regardless of whether the boat is a user boat, an award winner, or both!